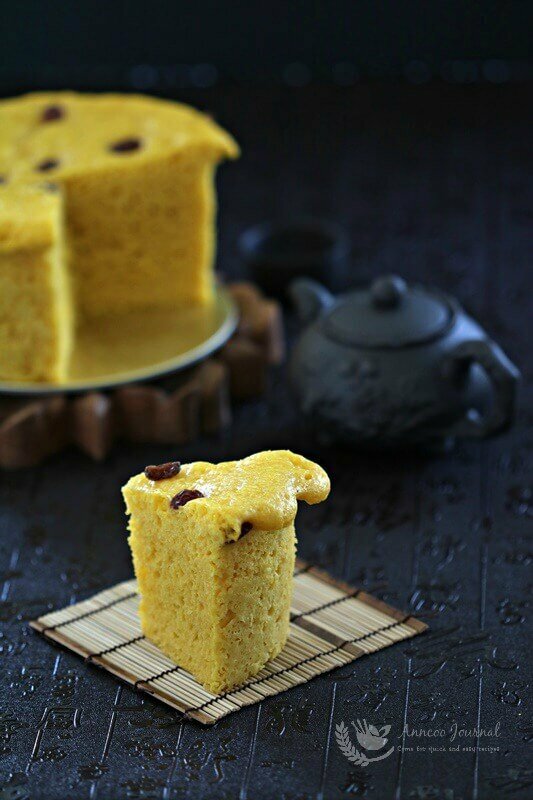 This Steamed Chinese Pumpkin Cake is a common snack in China. You can easily find them selling in the food street. 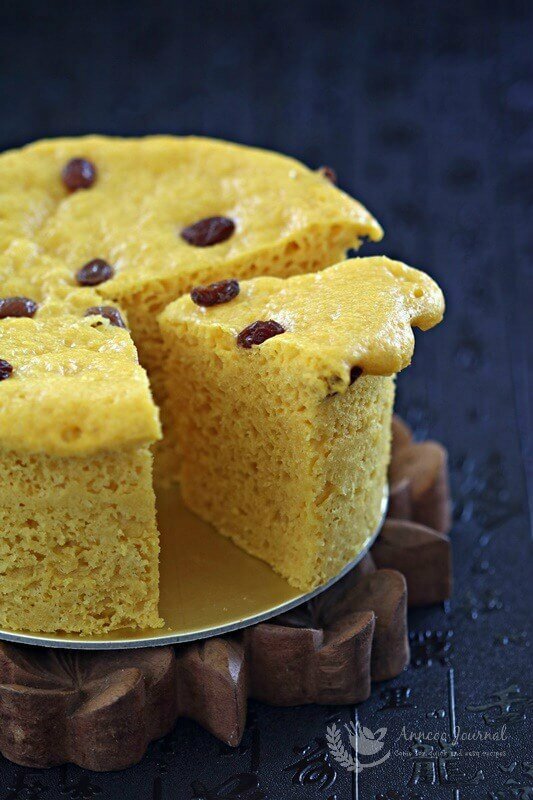 It’s actually a very simple healthy plain steamed cake using pumpkin puree, flour, milk and dry yeast. 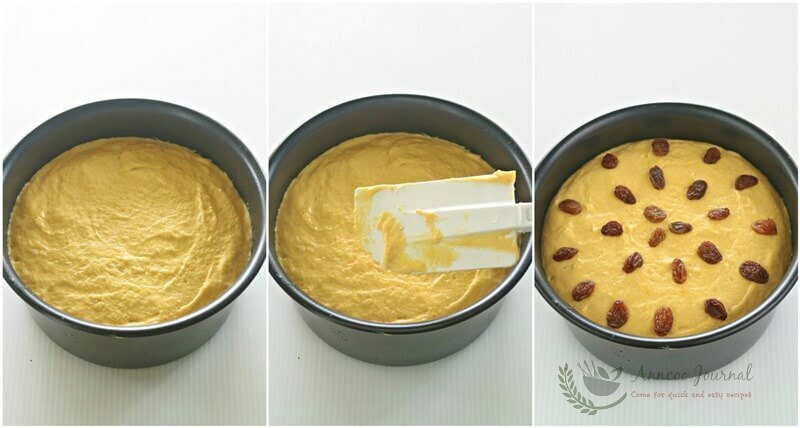 What you do is just combine the pumpkin puree and the remaining ingredients together and let the dough to proof for about 20-30 minutes to double volume, no kneading required. Then bring the pumpkin cake to steam for 30 minutes. 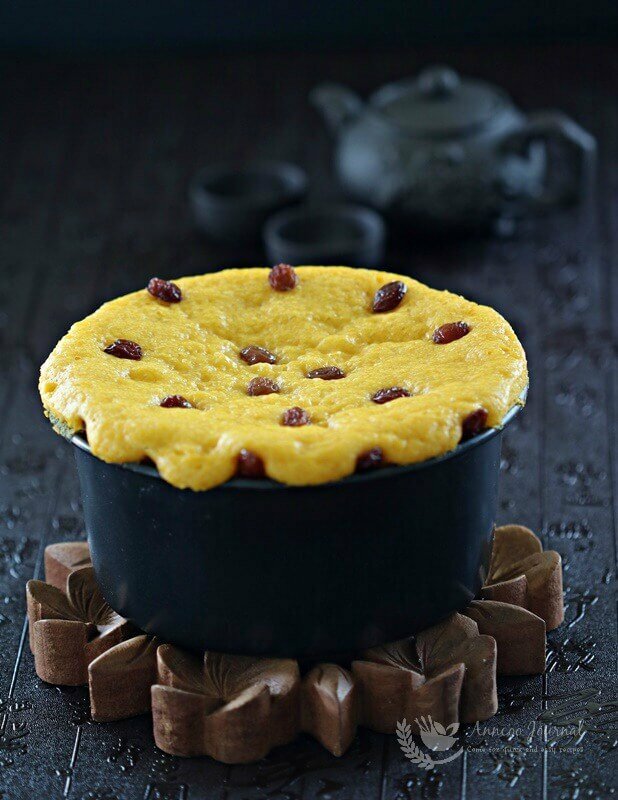 The steamed cake is soft and moist especially when served warm. You can place the remaining pumpkin cake in the fridge and re-steam it the next day for morning breakfast. 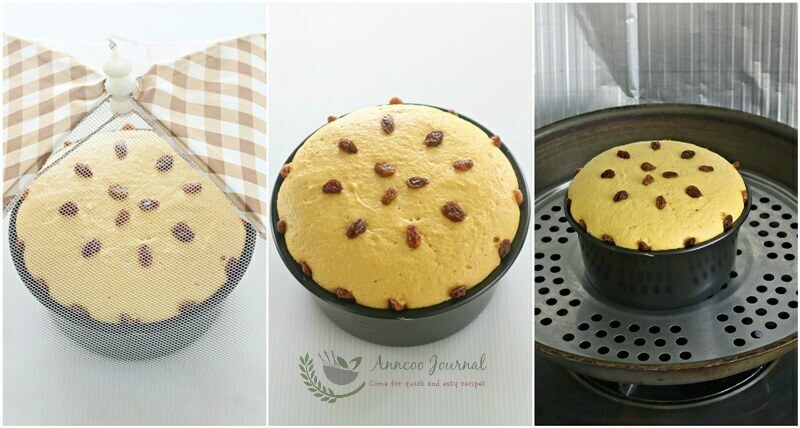 This healthy and easy Steamed Chinese Pumpkin Cake is soft and moist especially when served warm. Cut pumpkin to chunk and steam to soft for about 15 minutes. Mash cooked pumpkin with a fork while it is still hot. Blend mashed pumpkin, milk and sugar till fine paste. Add dry yeast and flour into pumpkin mixture, fold well a hand whisk or rubber spatula to form a smooth dough. Pour batter into a round lined pan (grease a 8 inch round pan sides) and let it rest to double volume, about 20-30 minutes, add some raisins on top and place it in steaming wok. Turn the fire to high and bring water to boil and steam pumpkin cake for 30 minutes. Off heat and let pumpkin cake sit inside the steaming wok for another 5-10 minutes. Remove cake from pan after slightly cool down and serve. My cake was overflown when steaming because I've used a wrong cake pan (7 inch pan is a bit small). Best to use a 8 inch cake pan for this recipe. Alternatively, you can also place the pumpkin cake in the steamer to proof for about 20-30 minutes or to double volume before turning on the heat. Haha madam..I thought it must overflow! 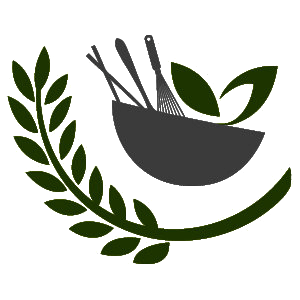 Thank you for the cultural insight and delicious recipe. I’m a Muslim from Malaysia. Hi, Thank you for dropping by. I think with the larger cake pan, the batter will proof better.